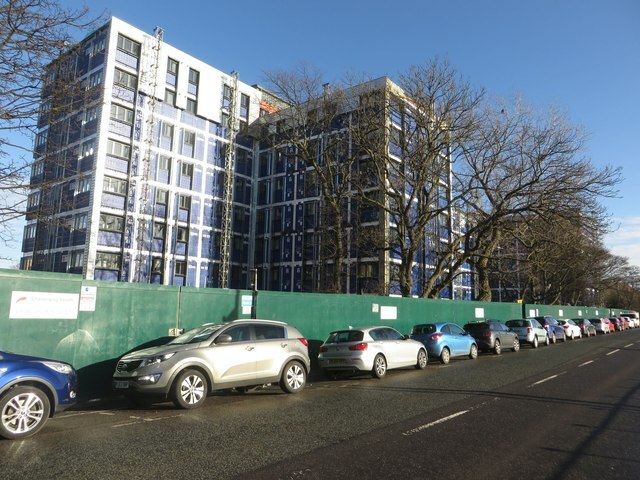 "One of several new blocks of student flats being built on the site of the Former Richardson Road flats. The new buildings make use of prefabricated bedroom units, the exterior of the building remains to be clad." Photo by Graham Robson, 2018.